Adult Swim is probably best known for its particular brand of weirdo stoner comedy and twisted updates to old cartoons that nobody really remembers, but it has also introduced American viewers to a lot of awesome anime shows over the years: Cowboy Bebop, Ghost In The Shell: Stand Alone Complex, and Paranoia Agent, to name a few. 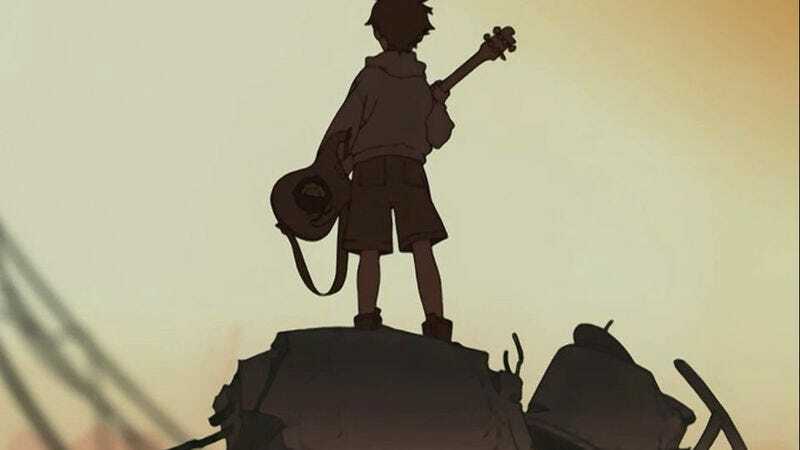 Now, as part of its anime-focused Toonami block, Adult Swim has announced that it’s bringing back one of those old anime shows, FLCL, for 12 brand-new episodes. This comes from a post on the official Adult Swim Facebook page, which says those 12 episodes will be split into two seasons, and that they’ll act as a sequel to the original series. FLCL (or “Fooly Cooly,” depending on who you ask) is a show that’s weirdly simple yet hard to explain. Half of it is a coming-of-age drama about a kid named Naota, and the other half is a comedy/action show about Haruko Haruhara, a woman from space who lives with Naota and uses guitars to beat up evil robots. The average episode tends to swerve wildly between poignant observations about growing up and totally bizarre sci-fi battles, and it’s all scored by Japanase alt-rock band The Pillows. Adult Swim is developing these new episodes with animation studio Production I.G., but other than that, no details (including whether or not The Pillows are involved) have been announced yet.